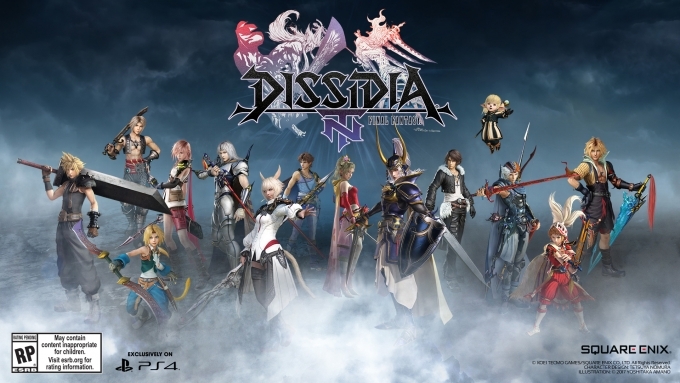 Dissidia Final Fantasy NT is an interesting creation for the Final Fantasy franchise. Characters from every single Final Fantasy game will fight for their lives in spectacular battles, an experience worth trying. It was amazing having a chance to see the characters from the beginning of the series with much more detail their 8-bit sprite forms. The battles are flashy and exciting but it’ll take some time to uncover all the intricacies Dissidia Final Fantasy NT seems to be hiding. With so many different numbers, stats, and indicators, the game looks like there is plenty of meta and different layers to the combat. However, it doesn’t seem as though this fighter is going to be incredibly competitive. Instead, the developers are working to create a fun fighter for Final Fantasy fans. Be sure to check back on this page for all past and future Dissidia Final Fantasy NT videos. Fans of the Final Fantasy franchise, Gigs and Mack were excited to see what the original characters actually look like. No more using imagination to turn those 8-bit sprites into relatable characters. The graphics on modern consoles allows Final Fantasy fans to really see a new side of the original Final Fantasy’s. Thank you all so much for taking the time to stop by. Everyone here at Gigamax Games appreciates every second someone spends with the crew. Also, Gigs and Mack always want to know what you think about the videos. Are you a fan of the Dissidia Final Fantasy NT playlist? Let Gigamax Games know on YouTube or the in the comments at the bottom of this page! Please, if you’ve enjoyed what you saw here, visit and Subscribe on YouTube or follow Gigamax Games on Twitch or Facebook!